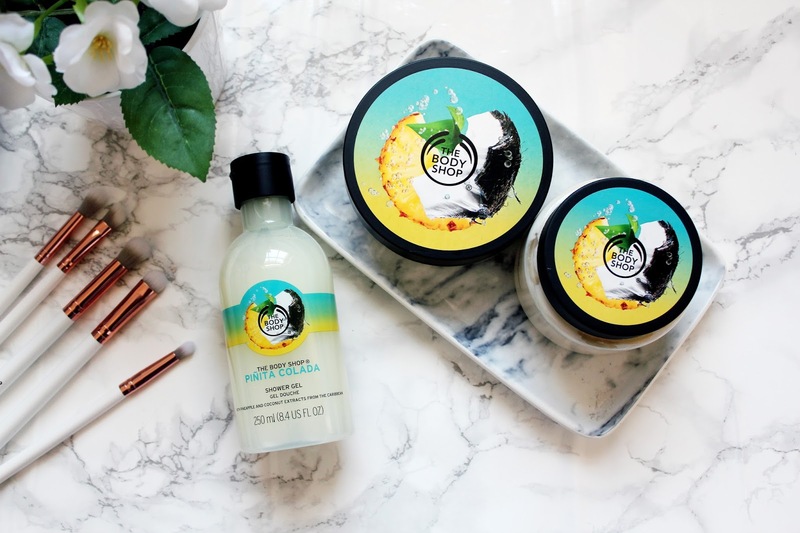 Beauty: Do you like Piña Coladas? 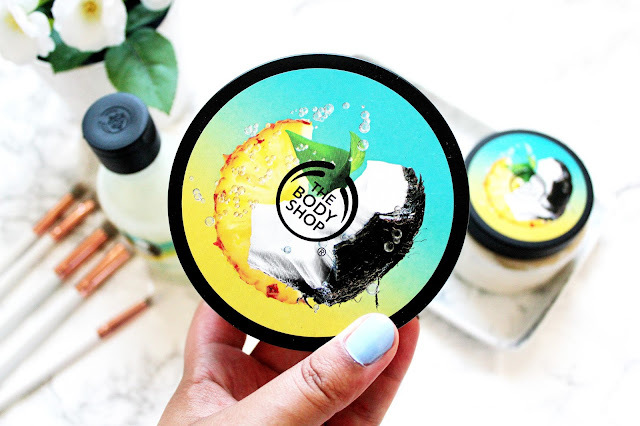 Ever since attending a Body Shop event about a month ago, I’ve become obsessed with all things Body Shop related. I know each year they come out with a limited edition range (I was gutted I missed the mojito range) and this year they’ve come out with the piñata colada range. I’m having a real moment for all things coconut right now and so I was immediately drawn to this range. I’ve actually gone in store and smelt this range a few times and it smells like a holiday bottled up. The smell reminds me of sitting by the pool on holiday with a cocktail in hand. This is a range, which smells good enough to eat. 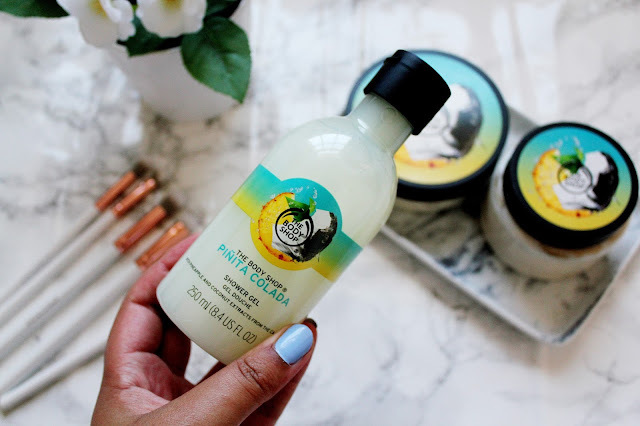 First up is the Piñata colada shower gel and it really does have a strong smell of coconut and pineapple (which is divine) this shower gel is really moisturising, soft on the skin and the smell stays on your skin for a good few hours after using it. 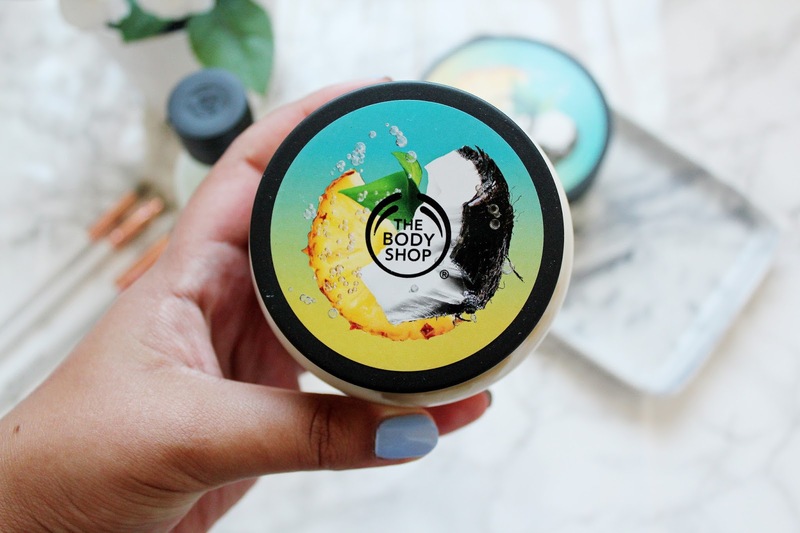 Lastly, as part of the Piñata Colada range the body shop have released a body butter. If your legs ever feel dry (like mine) this product will become your new best friend. I love applying this before I go to bed (like a moisturiser) or when I’ve just got out the shower to make sure my legs and body are feeling smooth. This body cream smells SO good and I actually have a mini of this and I can’t wait to take this on holiday with me next weekend. I really want to try this range, it sounds incredible! I really want to try this out! I like a pina colada! 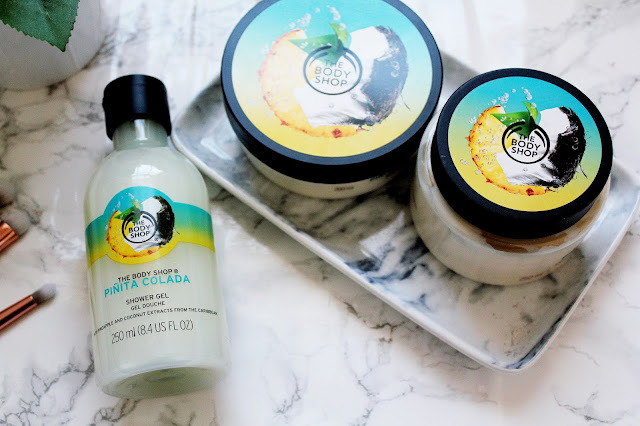 I love everything coconut flavoured/scented so, this range is a must !! 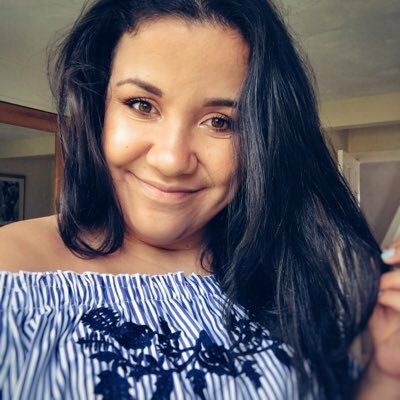 This collection looks so lovely ! I can't wait to try these!! I am obsessed with coconut! !